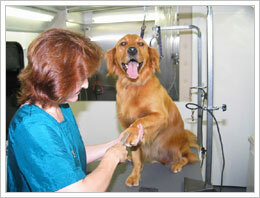 Dog grooming in Des Moines is a family business for Denise’s Doggie Do’s Mobile Pet Grooming. Our family owned and operated business opened our doors in June of 2002. In June of 2004, Denise’s Doggie Do’s Mobile Pet Grooming added a second mobile pet grooming salon due to the overwhelming need for mobile dog grooming in Des Moines. The idea to do mobile dog grooming in Des Moines came from the need to provide a stress-free grooming environment for our precious pets. Denise’s Doggie Do’s Mobile Pet Grooming provides your pet with lots of one-on-one attention, supplying only the best dog grooming in Des Moines. We eliminate drop-off and pick-up times, stress from car rides and noisy visits to the usual grooming shops. We also don’t make your pet sit in a kennel for hours waiting to be groomed, finished or picked up. No more separation anxiety. With Denise’s Doggie Do’s Mobile Pet Grooming you will have no more nose prints on your vehicle windows or hairy car seats! Denise’s Doggie Do’s Mobile Pet Grooming believes in only using the highest quality, all natural, biodegradable shampoos and conditioners available only to professional pet stylists. For pets with sensitive skin we use an all natural, biodegradable hypoallergenic shampoo and conditioner. Our dog grooming in Des Moines offers many brands of shampoos of the highest quality to offer your pet for specific skin conditions. We believe in continuing education to keep all of our professional pet stylists on top of the new technologies, tools and information available. We attend 3-4 different seminars and trade shows throughout the year. 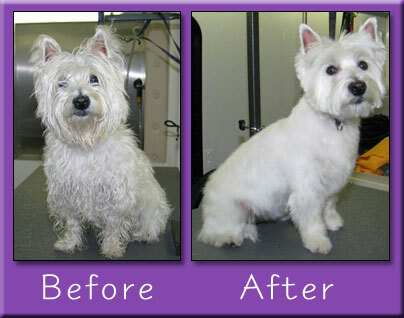 This continued research helps us to be the leader in mobile dog grooming in Des Moines. Denise Davis, the owner of Denise’s Doggie Do’s Mobile Pet Grooming, is currently the President of the Iowa State Professional Dog Groomers Association ( IaSPDGA ) . She has held numerous positions in the past 5 years including Vice President, Treasurer and board member. Denise’s Doggie Do’s Mobile Pet Grooming is licensed by the Iowa Department of Agriculture, as required by state law. All pets must have vaccinations current, also required by state law. Denise’s Doggie Do’s Mobile Pet Grooming is veterinary referred.